The Legend of Zelda is an action-adventure video game created by Nintendo. 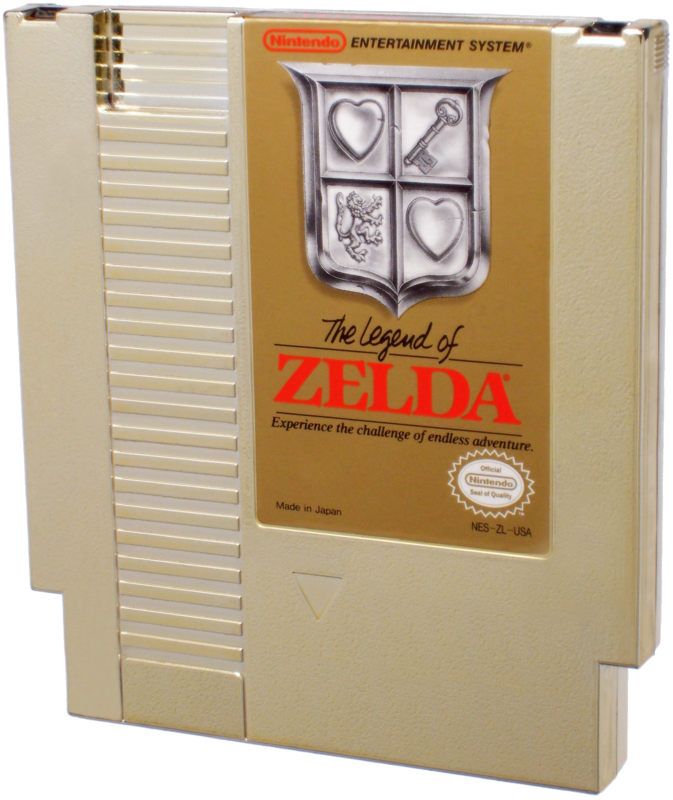 Who would’ve known when this game first came out in 1986 for the NES would allow for successful sequels up until 2011’s Skyward Sword. This game was the first NES game to sell over 1 million copies, and it sold 6.5 millions of copies! These games opened, for the first time, a huge world to us and let us do whatever we want with it with barely any instructions at all. (Make sure to read the manual before playing because the information in it will not be shown to you in the game) Basically you start the game and you see a cave, so you enter because it is the first thing you see and an old man hands you a sword saying this classic phrase: “It’s dangerous to go alone! Take this.” And that’s all he says. 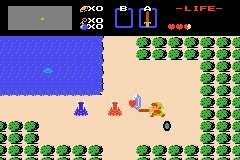 I will start by saying this: The Legend of Zelda is the hardest game I have ever played! The game does not tell you almost anything at all on what you are supposed to do. I don’t know how I would play without having access to a walkthrough whenever I get stuck. Some key items like hearts and shops are completely hidden and nobody tells you to burn that particular tree to get to the shop or you need a certain amount of hearts to have a particular sword. But aside from the difficulty, the game is clearly a master piece and definitely is better than games that come out these days. Although it is not a game for casual gamers who think of themselves as gamers because they beat Angry Birds. If you want to play this game you have to be prepared to die a lot, even more than Dark Souls, and you must be really patient. It is really easy to play, but it is hard to advance on the quest. The controls are really simple and they respond well, the inventory system really impressed me when I first started playing. Some of the weapons used in this game are still being used by today’s sequels. Each dungeon has a new weapon that will help you finish the dungeon and move on to the next one. The map is pretty big and it is easy to get lost, you can either get a picture with the entire world, or you may end up just walking around hoping you will reach the place you wanted to go to. The game is really well done, and the graphics are amazing (It seems so hard to put so much detail in an 8-bit game system) so the artists did a great job with it. The only thing I found frustrating was dying, I always got impatient and tried to move fast but I got killed right away. At the same time, it does make the game better I believe, it makes you stop to think about strategies to kill certain monsters and how to use your items properly. If you couldn’t play this game when it first came out, you can still play it today and it will be a great deal of fun. It will change the way you saw old and newer games forever. The game is definitely a classic and it would still be in my top 5 of games (including today’s games). This entry was posted in Classics and tagged ganon, legend of zelda, link, nes, open-world, sword, take this, zelda. Bookmark the permalink.